Grandview Children’s Centre has received a $200,000 donation from TD Canada Trust, the largest monetary gift the foundation has ever seen, to go toward the construction of its new headquarters in Ajax. The fate of the foundation’s current Oshawa headquarters is yet to be determined. Grandview Children’s Centre is one big step closer to funding its new headquarters. 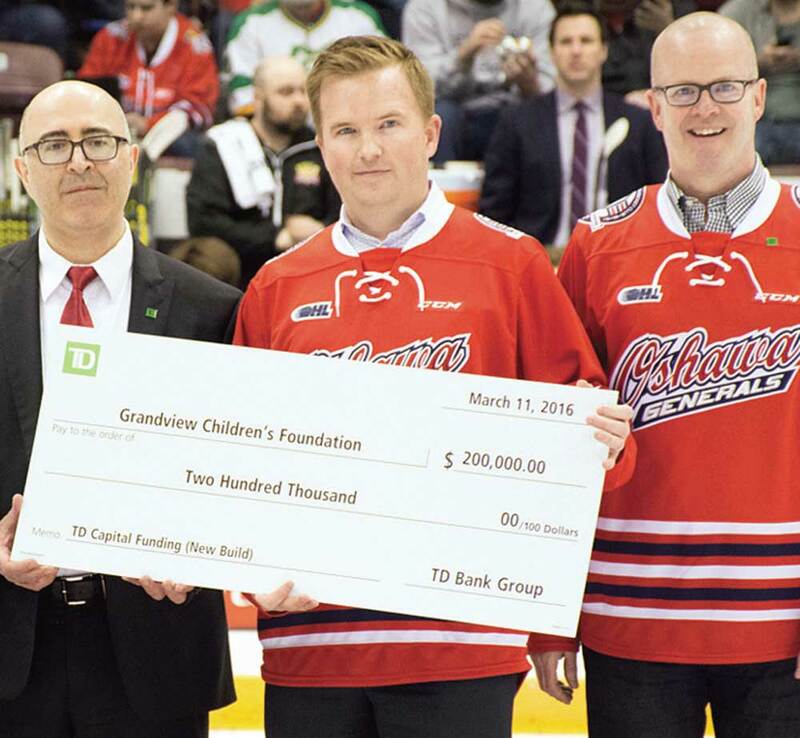 The foundation that helps Durham’s children with special needs and their families recently received a $200,000 donation from TD Canada Trust, marking the single largest monetary donation Grandview has ever received. “I think that TD has definitely stepped up to lead the way for our community,” says Lorraine Sunstrum-Mann, executive director at Grandview. In November 2015, the Town of Ajax donated five acres of land for Grandviews new headquarters. As part of the pending government approvals for the new building, Grandview must raise $10 million of the $44 million it will cost to build the new facility. To date, the foundation has raised more than $7 million. “It’s important to acknowledge the tremendous leadership of TD and the historical, tremendous generosity of the community over 63 years,” Sunstram-Mann says. Grandview’s current headquarters building in Oshawa was built in 1983 and designed to serve 400 children. Now, Grandview serves more than 5,000 kids each year, with 2,000 more awaiting services. That number is only expected to grow with Durham’s population also growing, with Grandview projected to be serving 10,000 kids annually by 2031. Pending approval of the new facility by the province this year, the foundation hopes to have the new headquarters completed within three to five years. According to spokesperson Lisa Wilson, plans are still being determined as to the fate of the Oshawa facility. “When we relocate our headquarters to Ajax, we will maintain strategically located satellite sites in the region; exact locations are to be determined,” she writes in an emailed response.